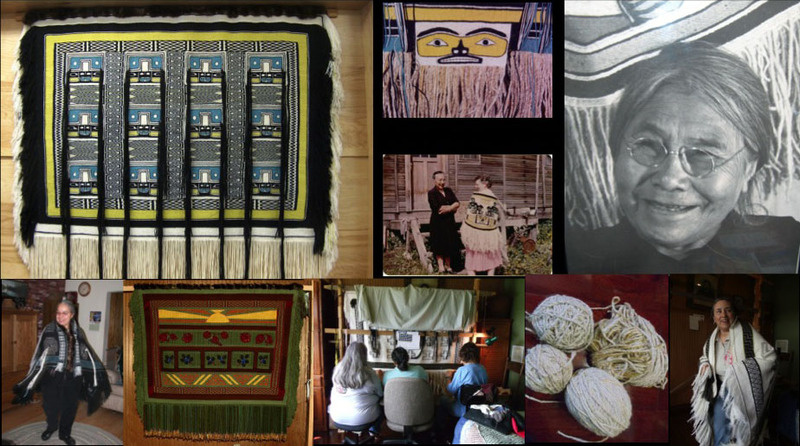 The Chilkat women did not invent the art of Chilkat Weaving, it actually came from the Tsimshian people, but there were so many gifted weavers in Klukwan during the late 1800’s and early 1900’s that the art form became known as Chilkat Weaving. The art form was nearly lost when Jennie Thlunaut, the last of Klukwan’s master weavers from her generation died in the mid 1980’s. Fortunately a group of local women have taken up the craft and are continuing the legacy. The Heritage Center Building, when completed will have studio space for local weavers to demonstrate their craft during local tours and during the winter months a series of Northwest Coast art classes will held in the art studio/ community education classroom space. Contact us to find out when the next weaving class is scheduled.